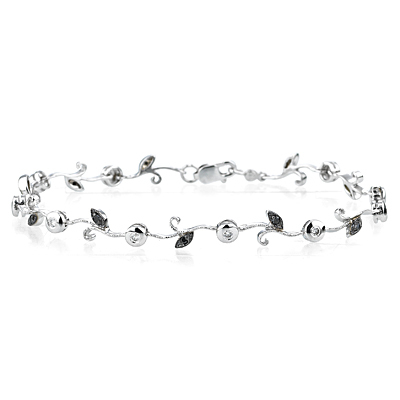 0.36 Cts Black & White Diamond Bracelet in 14K White Gold . This stunning Black and White Diamond Bracelet accents eleven AAA quality Black Diamonds, crafted with ten alluring White Diamonds prong set in 14K White Gold. Approximate Black Diamond Weight: 0.16 Carats. Approximate White Diamond Weight: 0.20 Carats. The plush design with a modern look.